A nine-time All-Star and five-time Silver Slugger Award winner, Gary Sheffield finished his 22-year career with 509 home runs, elevating him to membership in baseball’s elite 500-HR club. In 2002, the year this Louisville Slugger bat was used, Sheffield hit 25 home runs for the Atlanta Braves and finished with a .307 batting average and 84 RBI in his first season with the Braves. 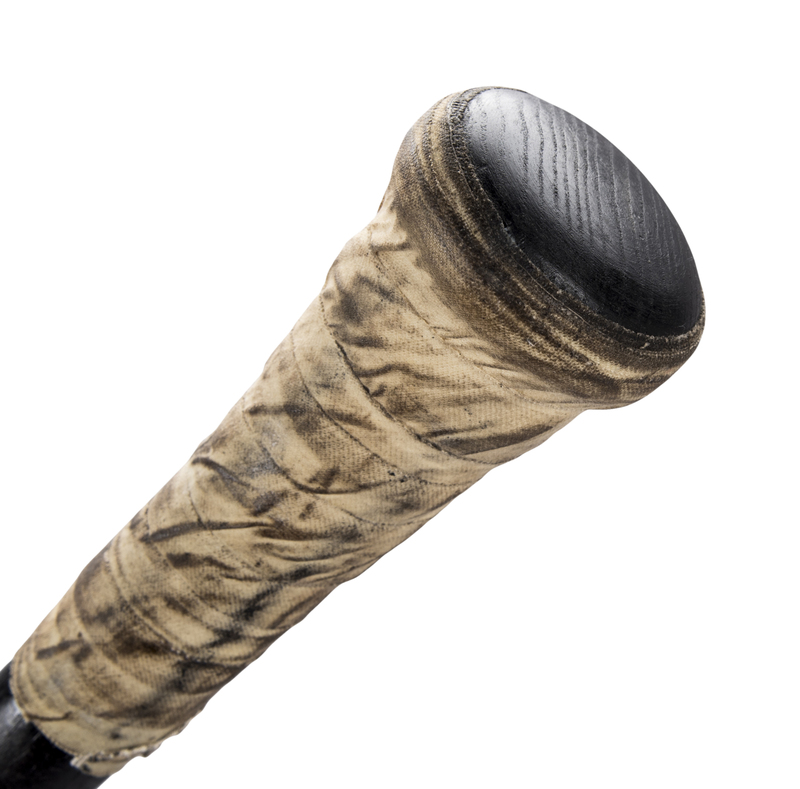 This offered Louisville Slugger R161 model bat displays excellent use and is un-cracked. There are several ball marks, stitch impressions and white leather scuff marks present on the barrel. 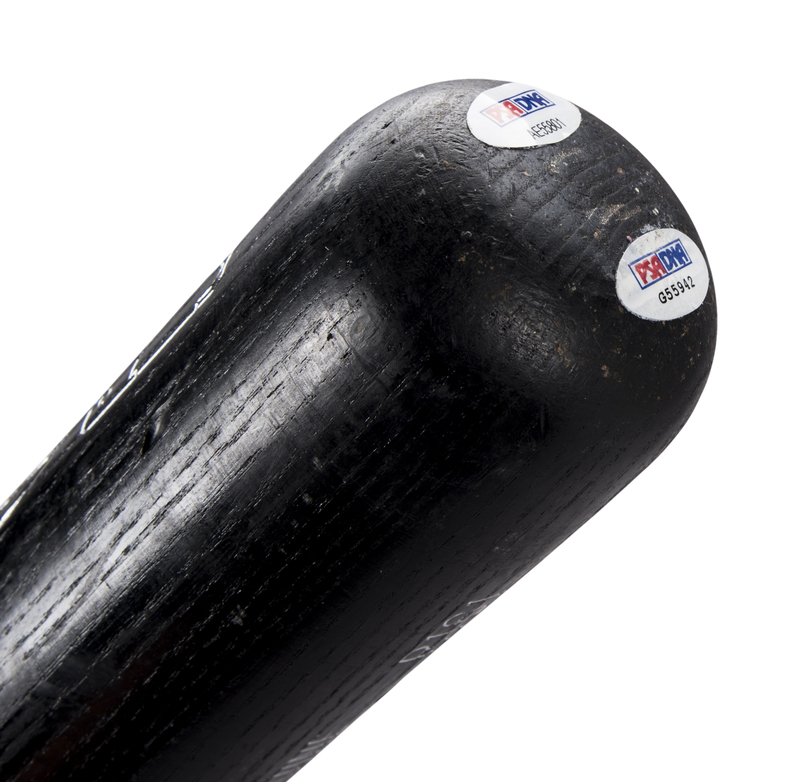 Other marks on the barrel include cleat imprints and bat rack streaks. The lower handle has been taped in a spiral pattern with a thick knob to enhance the grip. Sheffield’s number “11” is hand written in silver marker on the knob and top barrel. Sheffield has signed his name in contrasting silver marker on the barrel and inscribed “#11”. 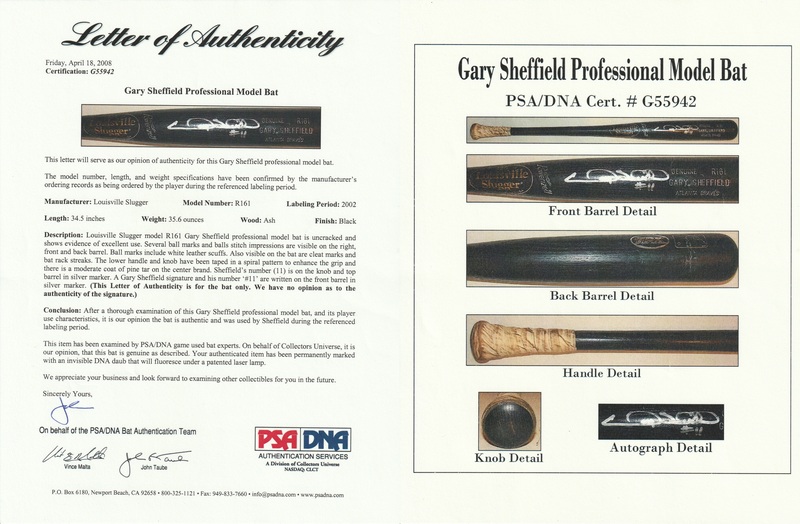 This bat comes with a LOA from PSA/DNA (G55942) for the game use and a COA from PSA/DNA (AE55801) for his signature.